I read a short excerpt from my untitled novel (which is far from completion) at the Brockton Writers Series last week. 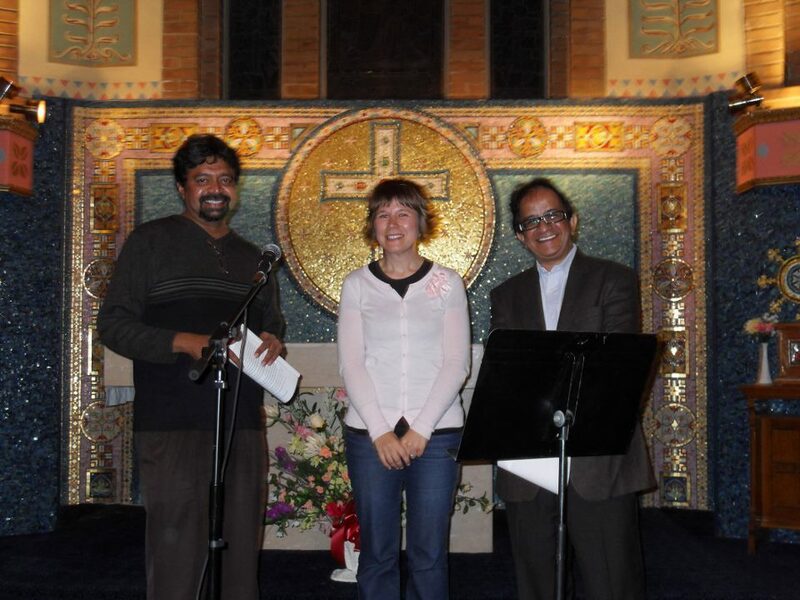 I had the privilege of reading at a session where award winning authors Pratap Reddy and Jessica Westhead also read. Pratap’s book of short stories is ready. Jessica’s third book (a collection of short stories) And AlsoSharks was published recently by Coromorant Books. The reading was followed by a Q&A session and that was deeply introspective. Jessica will be reading at The Word on the Streets (TWOTS) on September 25. Generally About Books has “adopted” Jessica for this annual celebration of books at Queen’s Park. When you’re there please drop by. Jessica will be reading from her collection and also join short fiction writers Julie Booker and Matthew J Trafford in a discussion on YOSS (Year Of the Short Story). Farzana Doctor, novelists and activist, curates the series which celebrates its second anniversary next month. The next session of Brockton Writers Series is on October 5 at St. Anne’s Church, 270 Gladstone Ave, just north of Dundas. Patrick Connors, Ann Shin and Aisha Sasha John will be reading.